Over the past 30 years, Wekerle has built a reputation as arguably the savviest trader to ever move stock on Bay Street. He’s a self-made man who’s amassed a vast fortune for himself and just about anyone who’s worked with him, doing so with an eccentric, fun-loving attitude that’s as wild as his wardrobe. Throughout the ’90s, he helped turn Griffiths McBurney & Partners into an international force of trading and was a key figure in taking Research In Motion public. In 2012 — after pulling himself out of depression brought on by the tragic passing of his second wife Lea-Anne, which was followed by late nights of unbridled partying and his very public dismissal from GMP — he became co-founder and chief executive officer of his own company, Difference Capital Financial, a merchant banking firm focused on late-stage technology, media and health-care companies. And, as of this year, he’s also found a seat on Canada’s top reality TV program of the fall, CBC’s Dragons’ Den. Right now, though, that says-something, does-it attitude has his people on edge. It’s just before noon on a rainy autumn day as I stand in one of the kitchens inside Wekerle’s sprawling Forest Hill home. Wekerle is working the camera by his indoor pool as I chat with Carole Cohen-Perez, administrative business director at Difference Capital, and Scott McKay, honorary chair of Road Hockey to Conquer Cancer, of which Wekerle is a board member. 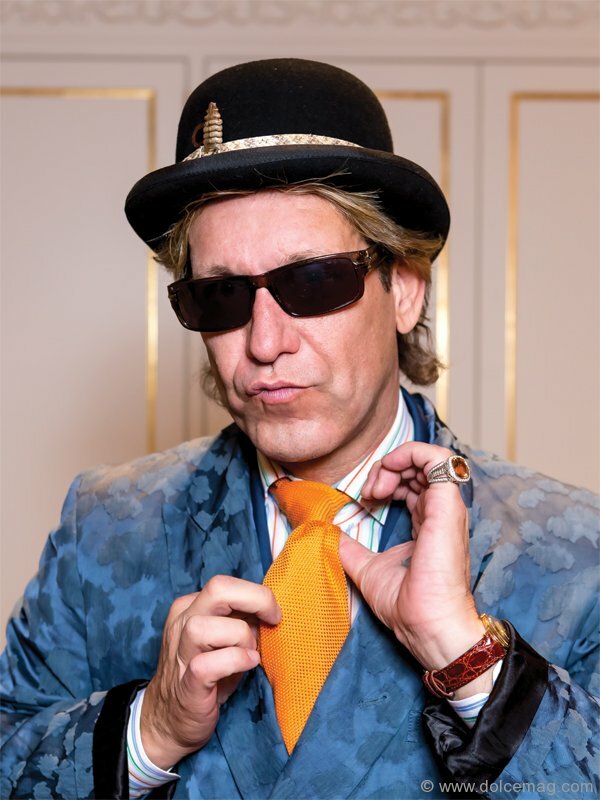 We’re discussing Wekerle’s philanthropic work, which includes the more than $300,000 that was raised at his annual charity concert Wekfest, when something catches Cohen-Perez’s eye. “My God, what’s he doing?” she says. 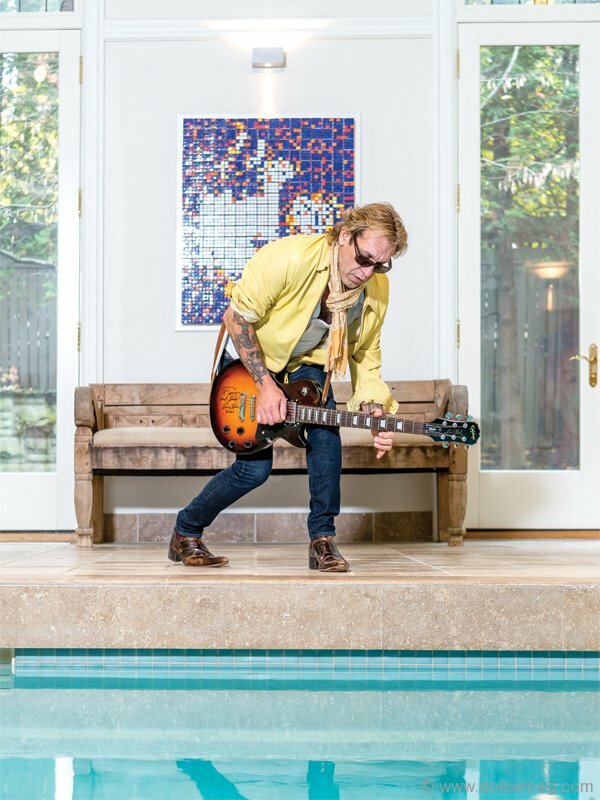 We turn and see Wekerle, wearing only his blue jeans and a champagne scarf, sitting on the edge of his pool, kicking up water for the camera. He had joked earlier about a time he jumped in fully clothed and I mention how I hope he’s not thinking about doing the same now. Moments before Wekerle was strumming a Gibson Les Paul, signed by Les Paul himself, and jumping through the air like a seasoned guitar god. Earlier, he was ripping licks from his makeshift studio, opposite his collection of autographed axes from other rock deities such as Black Sabbath, Tom Petty, David Bowie, Ted Nugent and Kurt Cobain. He’s certainly living up to his “rock star business maverick” reputation. 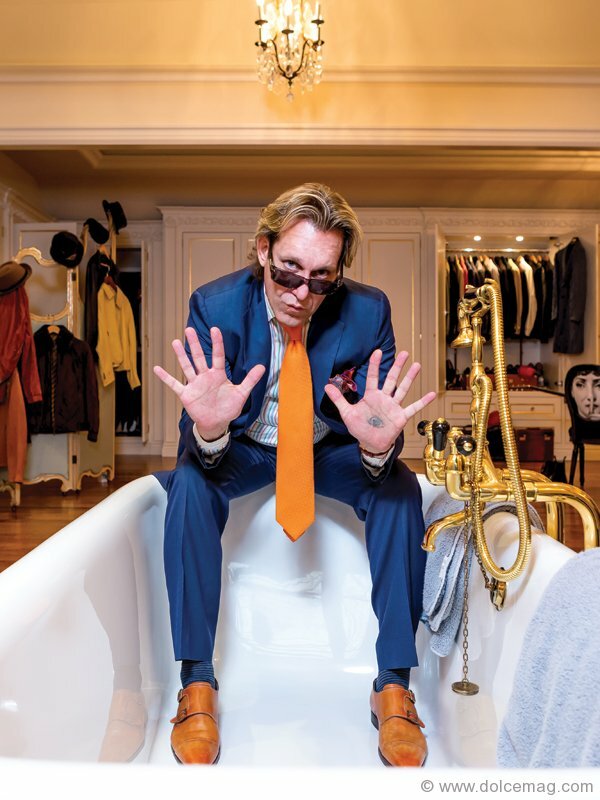 As he strums the beat-up Martin while wearing a royal blue bespoke Kiton suit, brilliant orange tie and tan leather monk strap shoes, it becomes increasingly apparent that Wekerle’s home is a reflection of himself. Under regal crown mouldings and sparkling chandeliers, behind pristine furniture and Roman columns, hangs art and other collectibles by and of legends of the rock world. Paintings by Ringo Starr greet you at the top of a flight of stairs. A photo of John Lennon wearing a sleeveless New York City shirt by rock ’n’ roll photographer Bob Gruen leads into his sprawling bedroom, which is so big and so elegant it’s literally fit for a king. His indoor pool, too, is surrounded by Rubix cube artwork of Bob Marley, Jagger and Elton John, as well as his children. He’s also a huge fan of Andy Warhol and a number of his works, including Mick Jagger prints and two paintings of chairman Mao, can be found sporadically around the house. Another thing you quickly learn when spending time with Wekerle is that it’s rather difficult to rein him in. He doesn’t seem to sit down for an extended period of time, talks with auctioneer-like speed and often takes conversations in unforeseen detours. After a question about how often he practices, he ends up transitioning from how playing the guitar helps him focus to why, when you get to his age, 50, it’s inevitable that your parents will pass away, which his father did only a year ago, and that you should remember to call your mother and tell her that you love her. “You never do it. You always think about it. But then it’s too late one day,” he says. He’s like the wind: impossible to control, taking things where he pleases. You’re just along for the ride. But there’s also something irresistibly magnetic about Wekerle. Yes, his shameless love for rock is immensely cool; his assortment of tattoos, including the Rolling Stones lips and tongue, even more so. But his barefaced honesty and unabashed proclivity for revelry makes him a guy you just want to be around. He’s like that cool uncle who wears fine Italian Chelsea boots and still blasts AC/DC from his convertible. You just want to have a few beers with him and see where his madness takes you. Which is another thing you quickly learn about Wekerle: he’s incredibly generous. 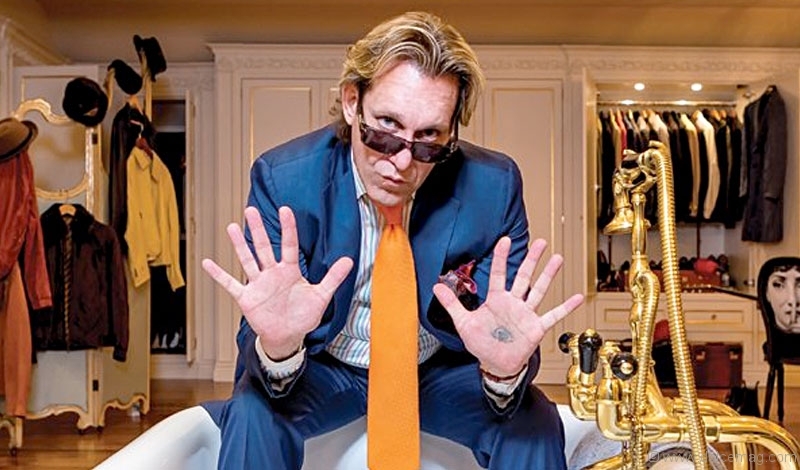 Despite his success in the business world, Wekerle has always done what he can to give back and make time for others. This morning, for example, he insisted I join him for breakfast — a lovely meal of fruit, yogurt and, Wekerle’s favourite, BLTs. Through his annual Wekfest and Wektoberfest, he raises hundreds of thousands of dollars for charities such as SickKids, the Centre for Addiction and Mental Health and YWCA. But it’s Seeds of Hope that is one of his favourite causes. It’s where he met his adopted son. When you consider his business prowess, larger-than-life personality and equally as sizable heart, it’s clear to see why the CBC came knocking on his door. When Kevin O’Leary made his exit from Dragons’ Den after the eighth season, a massive vacancy was left to fill. The money-obsessed, big-talking O’Leary was a fan favourite and questions were raised about whether the show could survive without him. Wekerle proved he was someone who could work the room as much as he could work a deal, and so far he’s been a standout figure. He’s constantly jumping out of his seat, dancing for the room and cracking jokes, and can shift gears from childlike playfulness to shrewd businessman as fast and as smoothly as a Formula One driver. In one episode, when Jim Treliving turned down Wekerle’s offer to partner on a deal, Wekerle made an aggressive counter that put the pitching entrepreneurs on the spot. Treliving made a one-eighty and asked if Wekerle still wanted to partner up. Wekerle cheekily shot back, “No, no, no, Jim. You made your call. You made your call and can’t come back now,” to a chorus of laughter. Wekerle’s television experience was near nil before Dragons’ Den and he went into filming with zero coaching. “I didn’t prepare in any form for Dragons’ Den other than just being myself,” he says. He was given a lot of direction from the show’s producers as well as from Treliving and Dickinson, whom he sat between on the panel. Wekerle found that he had to slow down and get more to the point; his fast-talking ways and tendency to chat was a problem for the bite-sized clips that make it to the air. “It’s not really a talk show. I didn’t know that until about a week into it,” he adds, chuckling. A few days later, a colleague mentions how Wekerle has just bought a bar in Toronto and I fire up Google to find out what’s what. News headlines pop up stating how the El Mocambo was purchased at the eleventh hour, plucked from near closure, by none other than the bad boy of Bay Street himself, Michael Wekerle. A smile creeps in. I should have seen it coming. After all, when Wekerle says he’s going to do something — well, you know.